One of the great traditions of Cooroy Golf Club is getting the job done by voluntary effort. What do members get out of volunteering? Well, there is the satisfaction of achievement and making a genuine contribution. Participating in volunteer work provides an opportunity for members to assist with activities in which they may have a special interest or expertise and to influence outcomes. You will find it very rewarding and may even learn some new skills. We have been looking at how we use our volunteers. It is clear we need to make changes to better coordinate use of this valuable resource for the benefit of both volunteers and The Club. The following goes into some detail about proposed changes but we encourage you to take the time to read it as it is crucial to the success of our volunteer program. Consistent with the objective of engaging members by making information available in an easily accessible digital form we have started development of an online system to support a revamped Volunteer Program. If you want to see an example list of real volunteer jobs with Job Profiles click on the button at the end of this email. The immediate priority is, however, to fill the important and influential role of Volunteer Coordinator. We are looking for expressions of interest. If you are interested contact Rob Powell (robpowell1003@gmail.com) or Rod Booth (vets@cooroygolf.com.au) as soon as practical. Requires computer literacy (must be comfortable using a computer to complete digital information) with good organisational, communication and interpersonal skills. Provides an opportunity to influence design of the program and system. Will have an influential role in determining priorities. Will be involved in initial creation of information in each of the registers described below. Once initial set up is complete the Volunteer Coordinator role will become less onerous, but no less influential, as the aim is to have the Volunteer Program largely self-managing through individual Job Coordinators with oversight by the Volunteer Coordinator. The primary responsibility of this role is to maximise the use of volunteers and oversee and coordinate activities involving volunteers. The role involves liaising with individual Job Coordinators, volunteers and club officials and will have significant influence in determining priorities. Each Job is assigned a Co-ordinator who is responsible and accountable for successful accomplishment of the Job. Once assigned to a job it is important that volunteers are very clear on what they are required to do. The Job Profile provides the level of detail and direction necessary for successful accomplishment of the Job. Rather volunteers are a means of achieving more. This means identifying suitable, meaningful activities that are fulfilling and appreciated in which volunteers can be involved. As such, volunteers have certain rights and responsibilities reciprocated by The Club and management's rights and obligations to volunteers - volunteer safety and well being is paramount. This principle will be incorporated in a Volunteer Charter. Volunteer recognition and reward is important in a Volunteer Program. The concept of volunteer recognition and reward will be incorporated in the revamped Volunteer Program and supporting system design. At this early stage it is envisaged there will be a Volunteer Portal or web page dedicated to Volunteers with volunteer news, volunteer support information, the Registers mentioned below and feedback on job outcome - volunteers want to know that what they do makes a difference. The system envisages three key components all of which will be available online via the website. Volunteering is time willingly given for the common good and benefit of all members of Cooroy Golf Club and without financial gain. Information held for each volunteer will include skills, expertise and preference for type of volunteer work. Skills, expertise and preferences can then be aligned with the requirements of an activity or project to the benefit of both the volunteer and the club. 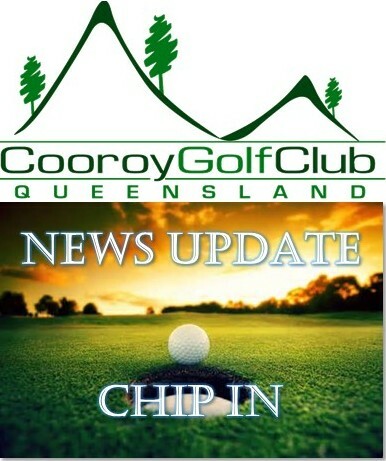 A job is defined as an activity necessary for the successful day to day operation of Cooroy Golf Club. Note it does not include Projects as these are managed separately. Volunteer work ranges from quite physical work on the course to committee or subcommittee representation to communication/publicity work to major event planning and execution. The Jobs Register provides the ability to track, coordinate and manage this diverse range of volunteer activities. The Jobs Register is supported by a searchable List of Jobs. A project is a planned initiative to be executed over a fixed period within certain cost and other limitations to achieve a particular aim or outcome. Formal Management Committee approval is required to proceed. A clear definition of what constitutes a Project is necessary because projects have different characteristics to operational type activities. The Project Register holds key project information including volunteers, cost estimate/budget, appropriate approvals and project documentation. A searchable Portfolio List of Projects supports the Project Register.